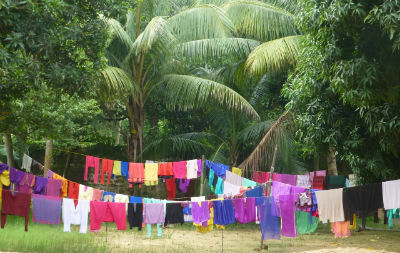 Photo: Clothes drying at the Shelter. “The Shelter is a home for orphan girls and those in need, continuously operating in India for one hundred years,” Andrew Lyon explains. “At the centennial anniversary celebration on September 1, 2014, hundreds of women and their families streamed in to thank God for the way their lives have been changed.” In this video, missionaries Don and Caroline Armstrong share reflections of their experience while attending the celebration.